I hear tons of stories from women on their experiences with different hair oils. Some hate it and they love it. For me, I have yet to meet an oil I don’t like. As of late, I’ve been having a love affair with a lustre oil. I’m always after a product that adds shine to my hair, especially when I’m wearing it bone-straight. Whether a hair oil is formulated in a factory or came straight from the earth, I’m always down to try. My natural hair type craves oils in general. 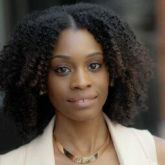 I use conditioning oils like coconut oil to treat my hair, heavier oils like castor oil to lock in moisture and shine oils like argan oil to add luster. While I do love all of these, I have been on the hunt for a product that has a more water-based texture that does all the other oils do for my hair in one shot. This brings me to tell you about my experience with TIGI Copyright Custom Create Colour Lustre Oil. What is TIGI Copyright Custom Create Colour Lustre Oil? 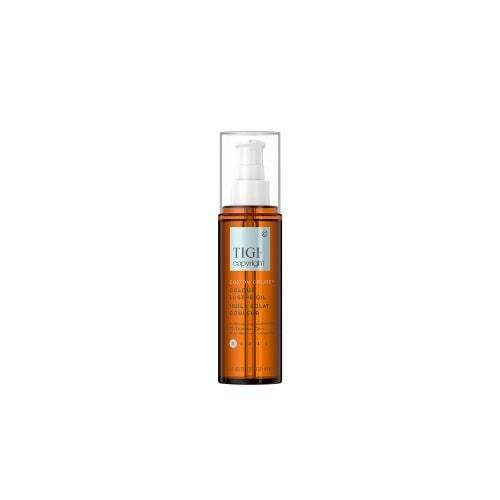 This lustre oil is one of the key products from the TIGI Copyright range. Blended with coconut oil, this product instantly tames frizz, nourishes hair and adds shine. You can use it with any of the TIGI Copyright collections. How to use the Lustre Oil by TIGI? The application of this oil is very simple and a little goes a long way. For me, I use this oil right before my blowdrying process after washing my hair. I apply about 2-3 pumps of the oil and work it through my hair. When you apply the oil to your hair, you’ll notice how shiny your hair is almost immediately. Who can use this oil? Anyone can benefit from this lustre oil. I love it for two reasons: It works well for color-treated hair types (my hair is highlighted) and it helps protect hair against damage. As I am flat-ironing my hair more often these days, I could use all the protection I could get! This oil is definitely worth the investment. An at-home oil treatment for you!